Artists from all around the world be advised! Now it’s your chance to customize one of the most sought after figures out there right now. 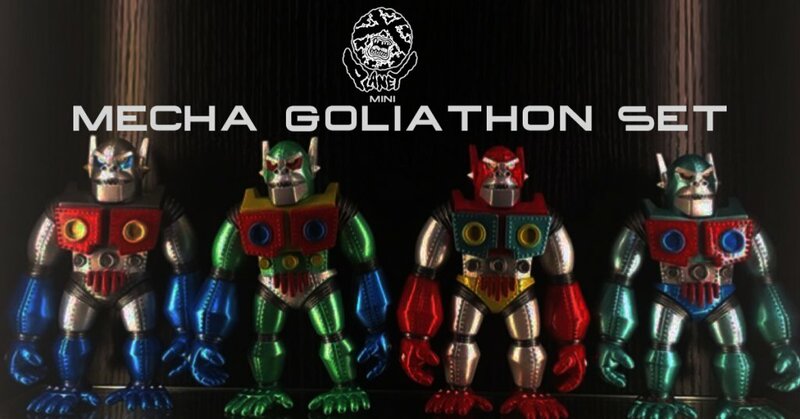 Planet-x is opening entries for a international contest where artist from all around the world will have the opportunity of customising the Mini Mecha Goliathon soft vinyl figure. The entry fee is USD 30 (HKD 200 for local pick-up) just to cover for the figure, and the best part is that you don’t have to ship it back, just a photoshoot is required. Basically a win-win situation. They will get back to you with further instructions! There are no entry limits. Winners will be selected by a board of international artists. Prizes apply!!! As we mentioned before you don’t need to send your work back, just send photos of your work and post them on Instagram with the following hastags: #planetxasia #planetxarycontest#mechagoliathon. Price: Entry fee is USD 30. There are no entry limits. Winners will be selected by a board of international artists.